Monster Hunter World is coming to Xbox One and PS4 January 26, but the PC release date has been up in the air except that it will be after that. This is the Monster Hunter series first big console release, however it has been on consoles before. The last time was with Monster Hunter 3 Ultimate, and it released on both the 3ds and the Wii-U. With the new year rolling in new announcements came with it. A big announcement came from the Monster Hunter World team. They released a short video on Twitter with Ryozo Tsujimoto, a producer for Monster Hunter, talking about a few things. He thanked fans for helping with feedback at various events and everyone who took part in the beta. He explained they were going to work on free updates for the game that included new monsters after the initial release, and he set a more specific date for the PC release of Autumn 2018. 2017 had a lot of controversy in it, but it also had a lot of good things. There were a lot of great games that cane out in 2017. Now 2018 is starting off on the right foot with a well established game like Monster Hunter where the team has said they won't use microtransactions or loot boxes because it doesn't make sense for Monster Hunter. In an interview, Ryozo Tsujimoto even said, "We want people to have the experience that we've made for them rather than the option to skip the experience." 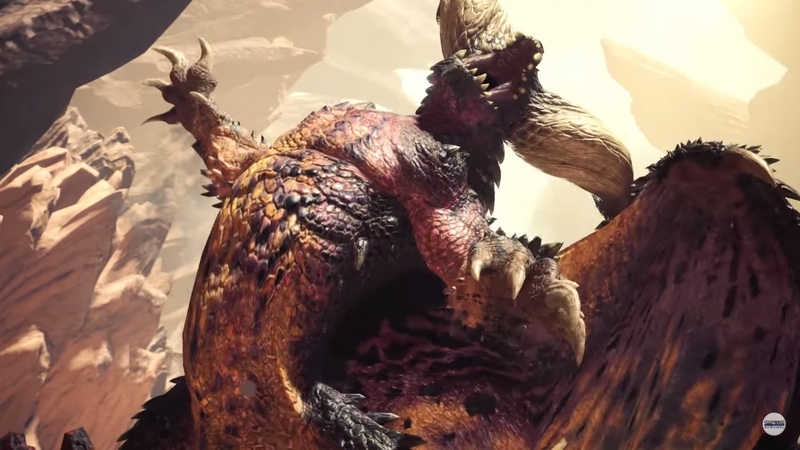 Monster Hunter is coming to Xbox One and PS4 January 26, and the PC release will be sometime this Autumn. The game is the first real attempt at a full blown console release for the series, and it has made a few changes from the classic formula because of that. Still, if hunting monsters down so you can make armor and weapons out of them so you can hunt tougher monsters down sounds like fun, check it out.